Ollie Owl’s Nature Playground is a natural playground, in a valley adjacent to a parking lot. The walk down is steep and not stroller friendly, but a fairly short walk. There are fun, kid friendly activities for the kids along the path down to the valley. 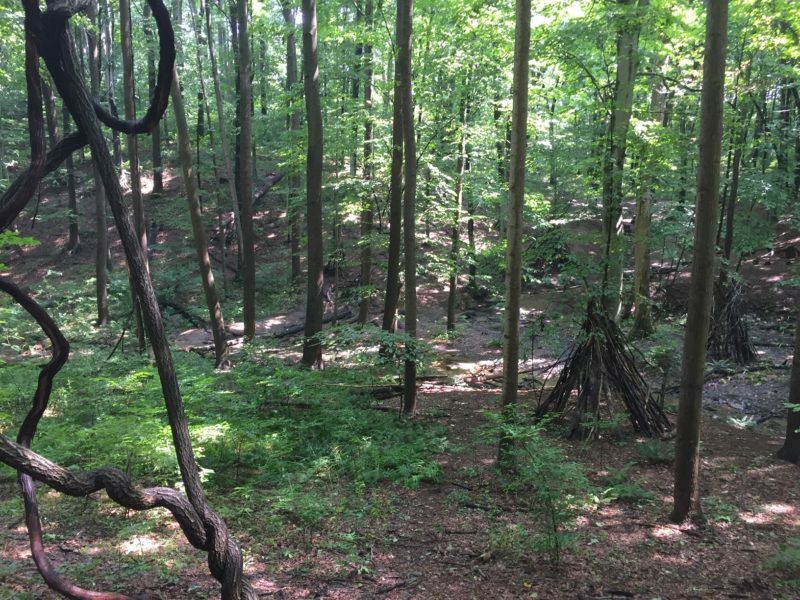 The Nature Playground has stick teepees, a natural seesaw, a tree stump circle, many places to climb and even a small creek to play in. We typically make sure to wear rain gear and waterproof boots as it features some great mud puddles and splashing fun in the creek. There is plenty of tree cover that also makes this a great hike even in the summer heat. Parking Lot is located right inside the preserve, and is well marked to show proximity to Ollie Owl’s.